The inscription beneath this tintype appears to be “G. Polkney”, and is unable to be identified. 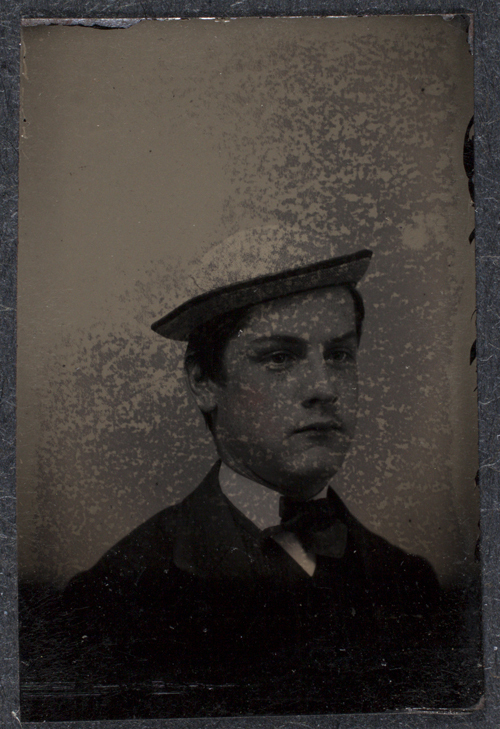 A small format tintype from a specially designed album originally owned by James Armstrong Canfield, Form of 1871. "G. Polkney" written in ink on the album page beneath the tintype. "Unidentified." St. Paul's School. Ohrstrom Library Digital Archives. Web. 26 Apr. 2019.